Nothing beats fruit and vegetables freshly picked from your garden. The flavour is at its peak and what satisfaction to be able to eat your own, after all your efforts to nurture the plants. If you prefer to grow your own tomatoes from seed, we always have a great selection from Thompson & Morgan and the Italian style tomatoes or 'pomodoro' from Franchi Sementi. Choose from cherry tomatoes, tumbling tomatoes (perfect for hanging baskets) vine tomates, plum tomatoes or big, beef steak tomatoes. With red, yellow, orange, purple or stripey skins! Optimum times for seed germination is February-May, with harvesting from July-first frosts, depending on the variety, so check the growing instructions. Some tomatoes are best grown in a greenhouse others are perfect for outdoor cultivation. 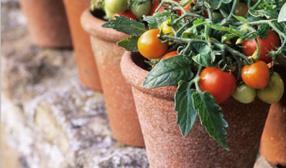 Tomatoes can be grown in pots, window boxes or grow bags, as well as in the ground. Tumbling varieties flourish well in hanging baskets and are ideal if space is at a premium. 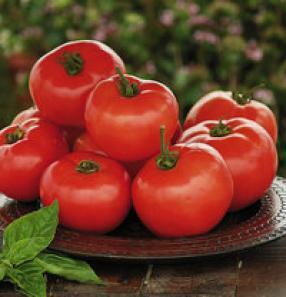 Most tomatoes enjoy moist soil and full sun. Varieties stocked include Gardener's Delight, Balconi Red, Rosada, Lldi, Tigerella, Ailsa Craig, Craigella, Shirley, Country Taste, San Marzano, Red Pear, Lilliput and Cuor di Bue. Regular watering and feeding will encourage your tomato plants to flourish, crop and taste better. 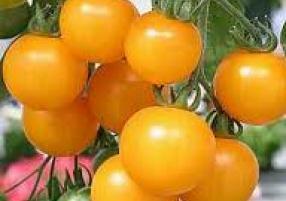 Try Levington's Tomorite or Miracle Gro for fruit and vegetables, or Maxicrop Extract of Seaweed plus Tomato Fertiliser. We stock seed compost, growbags, stakes, ties, plant food and everything that you need for a succesful tomato crop! 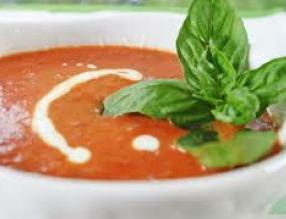 And our Deli has all the ingredients you might need to cook up a delicious gazpacho or tomato soup recipe. Don't feel like growing your own? Then visit our Deli, we usually have a choice of delicious tomatoes in stock, typically cherry vine tomatoes, classic vine tomatoes, mini red plum tomatoes and orange santa loose tomatoes (small and very sweet). Pick up your tomato grow bag now!